Ruby is the CEO and Co-Founder of WUKA Wear. She is a passionate environmental scientist who combines her scientific knowledge and passion for lean startup methodology to solve the problems that surround disposable menstrual products. She was born and brought up in Nepal and with WUKA , she wants to break taboos around period worldwide. 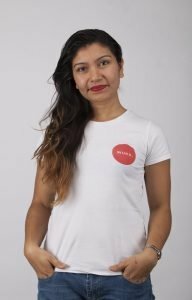 This week on Change Making Women we talk to Ruby, who is originally from Nepal about how she developed the idea for Wuka Wear Period Pants and went about testing, developing and launching the product. 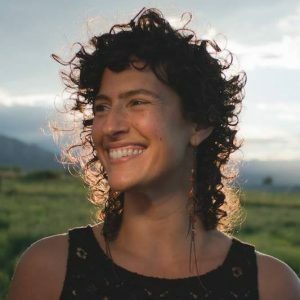 Listen to the show to hear more about the process of envisioning an innovative product, the environmental imperative for us to get into the habit of using reusable menstrual products, breaking down the stigma and taboos about our bleeding and the importance of addressing period poverty worldwide. In this week’s show Ziada and Mary Ann speak to Marcie Goldman about her approach to coaching and supporting women around food and nourishment. We hear about why she does the work she does, why she believes that flourishing is feminist and how she helps women unpick restrictive dieting and eat what they want. There’s nothing that lights up Marcie Goldman more than teaching women to nourish to flourish. She does this by eliminating toxic dietary beliefs, not food groups. She teaches women how to work “with” their bodies, not “on” their body’s, like a a project. Once you’ve unlearned all the so called “nutrition facts,” she fills you up with a combination of real food, Nutrient Therapy and a mind-set for rapid recovery. 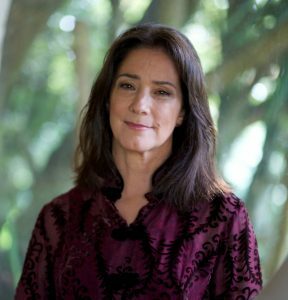 Her work combines functional medicine strategies, herbalism and nourishing wise woman traditions; a stellar combination she’s honed over the last 20 years in her professional one-on-one practice as well as group programs. Marcie graduated from the Institute for Integrated Nutrition in 1999, has had extensive training in herbalism and plant healing, and most recently she’s become a certified Addiction Recovery Nutrition Coach through the Alliance for Addiction Solutions. Currently, she offers feminist health coaching with individuals and groups.